With over thirty-five-years experience in the construction and physical security industries at senior management levels, followed by seven years training to become a mental health counsellor, it was inevitable that my later working years would involve a project combining all. Aware that French Door Security concerns cause anxieties for so many people and knowing from personal experience the impact of trauma of any kind I found it easy to identify and empathise with many seeking a solution to this problem. Today, armed with a complete understanding of the value people place on feeling safe in their own home I believe our unique Burglarybuster products represent an important response to these needs. 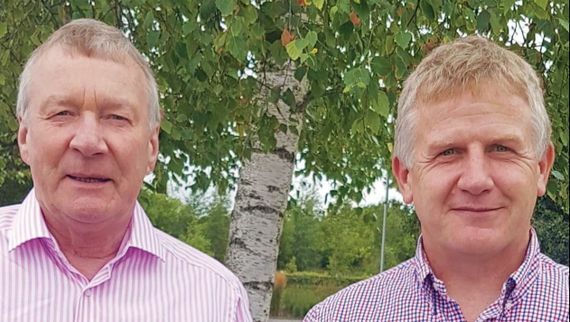 When I met with Brian Reilly for the first time at a Home Security convention in Dublin, Ireland, in October 2010, neither of us knew that within eight years we would be jointly responsible for a major home security success that would give a new peace of mind to many thousands of people. We met regularly afterwards and soon decided to combine our respective marketing and engineering backgrounds. Subsequently we successfully launched the Burglarybuster System in Ireland and the UK in 2016. When our research revealed that French Doors in the United States open inwards - and are the most vulnerable of all doors in the home - we introduced our invention to the US market in September 2017. Now, just over fourteen months later we are pinching ourselves - because our device is now market leader in the United States. Here is why we attach such importance to this project - and why we believe our invention is of major significance for US residents. windows and doors – generally considered to be the most vulnerable areas of the home. In the case of alarms the major aim is to scare off the criminal and also notify the occupier when an intruder has already entered the home. Home surveillance systems have been devised mainly to enable later identification of intruders. However, intruders can come determined to enter and evade recognition. Physical security sets out to prevent unlawful entry and keep criminals safely outside the building. In the USA – intruder alarms and surveillance cameras tend to be prioritised, whereas twenty-six of the twenty-eight Continental EU Member states including, Poland, rely more on Physical security. Interestingly Ireland and the UK are the two EU Member States omitted here because both prioritise intruder alarms and surveillance cameras. 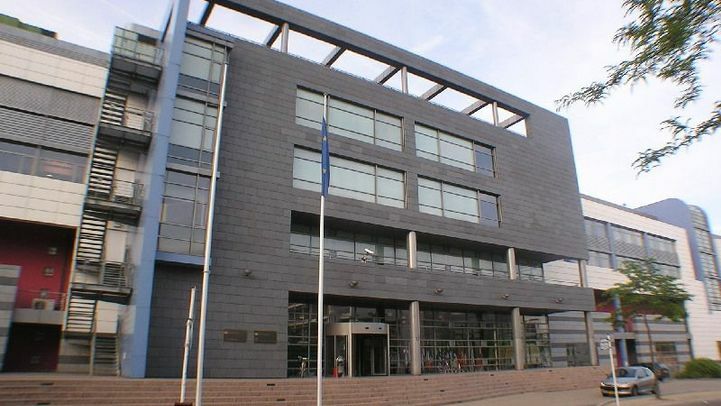 In the same twenty-six Continental EU Member States most if not all windows open-inwards and the use of external shutters for thermal insulation and security purposes is extremely common as is also the use of security glass (laminated glass). Typical external shutters on windows used in most EU member states. As break-ins to homes mainly occur on the ground floor, external shutters reduce exposure to unlawful entry. That’s why in Continental EU Member States criminals tend to focus on the entrance doors. To reduce the risk of break-ins occurring thru entrance doors Sweden led an important initiative in the 1980s. It successfully introduced national security standards for entrance doors – involving increased burglary resistance features including the use of galvanised steel door frames. Most Continental EU member states soon followed, resulting in the introduction of an EU Burglary Resistance Security Standard EN 1627 in 2011 for entrance doors. Today, many new build housing and apartment schemes in Continental EU Member States contain doors meeting this standard. In the US Household Burglary is defined as gaining access to a dwelling by force in order to steal goods. Based on Bureau of Justice Statistics, National Crime Victimisation Survey, Concatenated File, 1992-2015 (U.S. Department of Justice) the 2018 National Centre for Victims of Crime Report estimates the number of recorded law enforcement Household Burglaries in the US for 2015 as approx 490 per 100,000 inhabitants. (Note these statistics also correspond to those provided by FBI Uniform Crime Report (UCR)). Robbery is defined as stealing by force or threat of force and according to NCVS 284,722 offences were recorded in 2015. Household Robbery amounts to approx 17% of these offences and so 48,402 (approx 15 per 100,000 inhabitants) must be added to Household Burglary giving a total of 505 per 100,000 inhabitants. Total USA 2015 Household Burglary plus Household Robbery is approx 505 per 100,000 inhabitants. 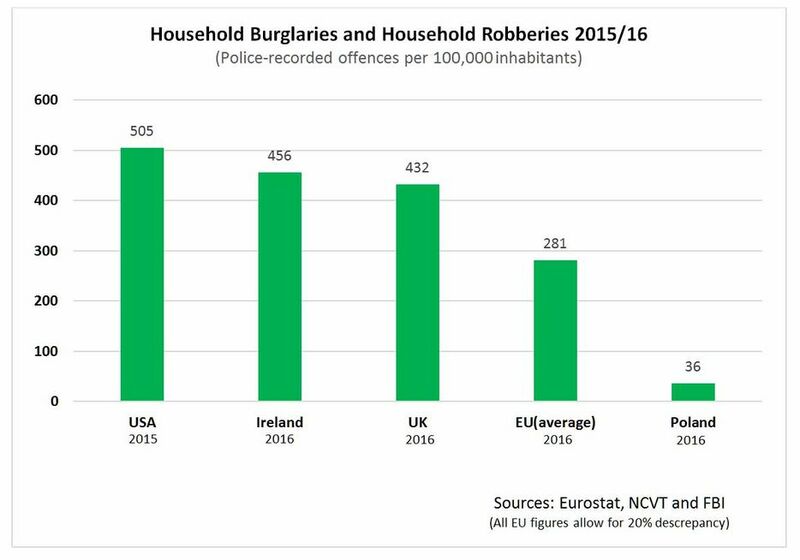 The above reveal that recorded home burglary offences in the USA, Ireland, and the UK are significantly higher than the EU average and all three are more than twelve times higher than Poland. These statistics reveal not only that alarms and surveillance cameras often fails to deter, but that emphasis on Physical Security is proving highly successful. Poland with almost 38 million inhabitants recorded 36 residential burglaries (20% discrepancy included) per 100,000 inhabitants in 2016 (Eurostat) and was by far the best performer within the EU - where an average of 281 offences (20% discrepancy included) per 100,000 inhabitants were recorded. 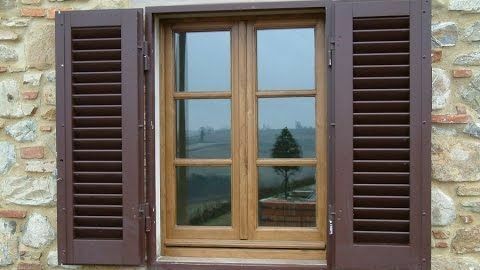 In Poland all windows in apartments and houses open inwards - enabling the extensive use of external shutters on all apartment and house windows. Secondly, almost all front and back entrance doors contain steel frames with most of these doors conform to the EU Burglary Resistance Security Standard EN 1627:2011. An extraordinary feature of this successful approach is that Poland’s residents seldom use alarms or surveillance video to secure their homes. In the US, Ireland and the UK the intruder alarm and camera surveillance industry has for obvious reasons neglected to inform customers of the need for Physical Security, while the insurance industry has continued to offer premium reductions only to alarm and surveillance users. We can therefore conclude that during the past thirty years the phenomenal growth of the intruder alarm and surveillance industry in the English speaking world - mistakenly facilitated by the Insurance industry - has undermined the needs of millions of home owners and renters struggling to keep burglars out of their homes. A major consequence is that these actions and activities have also significantly dwarfed the efforts of the police in Ireland and the UK who have for many years promoted Physical Security as the first step in preventing home burglaries. Poland’s story reminds us of the importance of Physical Security and the fact that security hardening of vulnerable entry points (i.e. 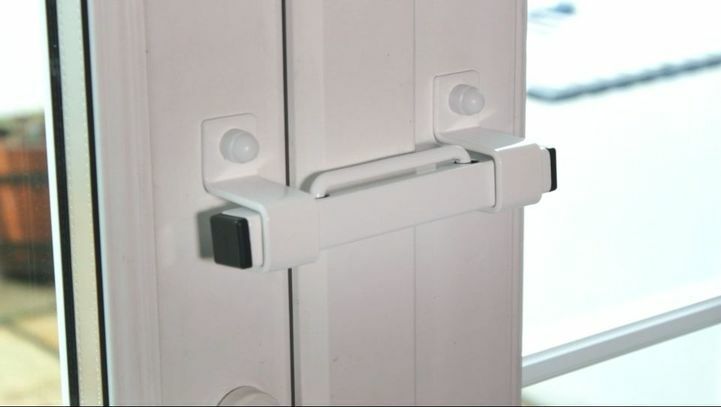 doors and windows) must now be considered the single most important security measure in the home. 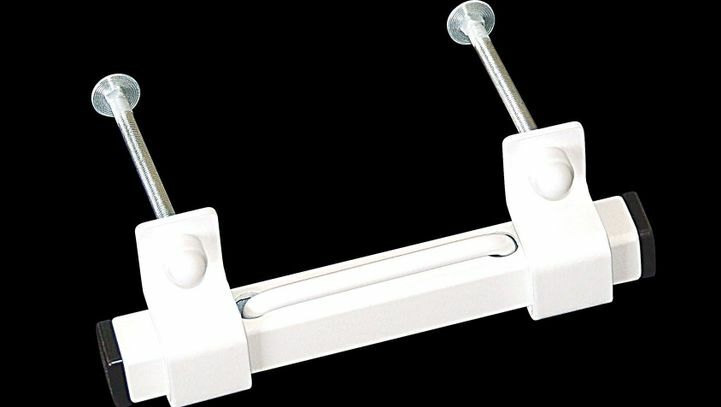 “We had experienced two devastating break-ins thru our French doors at night when we were all asleep in our beds, and then a neighbour recommended the Burglarybuster which we installed immediately. Four weeks later the criminals came back again at 3am, but this time even tho’ the main lock was sabotaged again the Burglarybuster held firm and the noise made in attempting to overcome this woke us all and we chased them away. That was over two years ago and we have never had an issue since. It was not an alarm or surveillance camera that saved our family – it was the Burglarybuster security device because it prevented the criminals from entering the house thru the French doors. Our main aim has always been to keep the family safe while present in the home and we know now that our trust in alarms and cameras was misplaced. 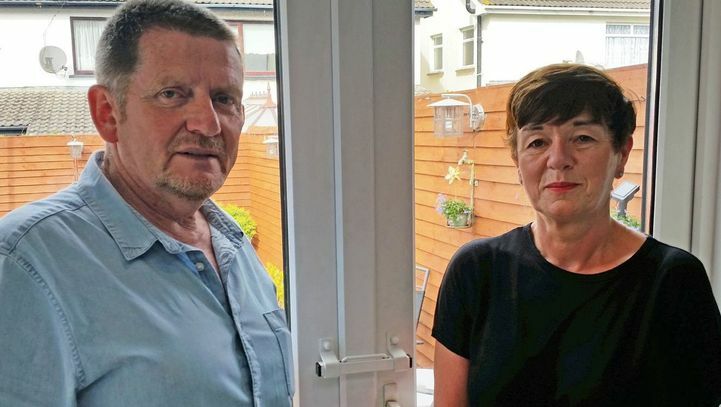 We would not wish for anybody to have to go thru the same horrific experiences as we ourselves have and therefore advise everybody with French doors to install one of these amazing devices.” James and Lorraine Flood at their home (pictured above). The origins of French doors can be traced back to the French Renaissance in the seventeenth century when it became fashionable to have open spaces in rooms and architecture began to attach greater importance to symmetry, proportions, geometry and regularity. 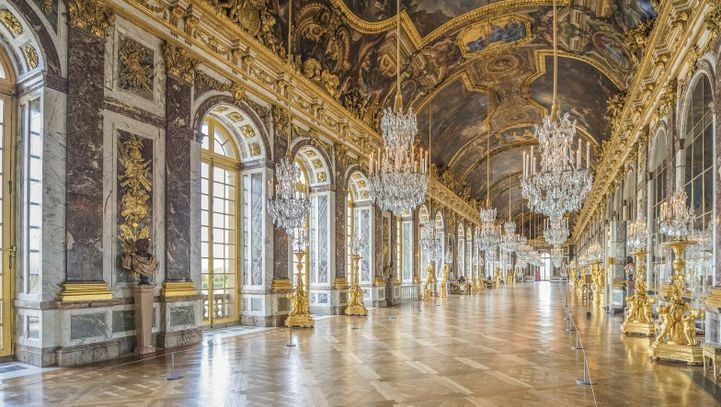 Consequential demands for increased natural light circulation and improved aesthetics in large new buildings meant that traditional double casement windows were often omitted and instead large French windows and doors were preferred. Over the following three centuries this fashion spread throughout the world and eventually these influences reached many countries including Great Britain, Canada, and Ireland. Later, United States based architects and designers followed suit and today French doors (also called double doors or patio doors) are incredibly popular throughout the length and breadth of the United States. 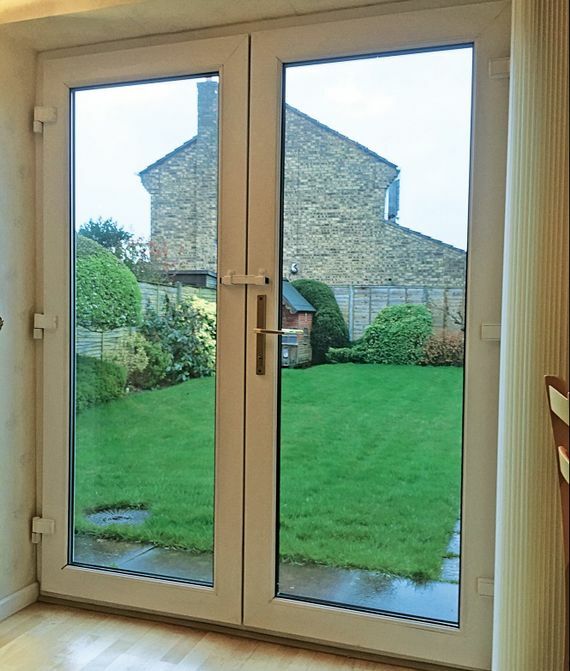 French doors lack strength where the two door leafs meet in the middle (see below). This is because the door, while having two door leafs, contains only a single door frame which is evident on all four sides of the door. Consequently, when the French door is locked, the edge of the passive door leaf acts as support for the active door leaf and consists of a structure which does not provide anything like the same level of strength gained from a standard door frame. 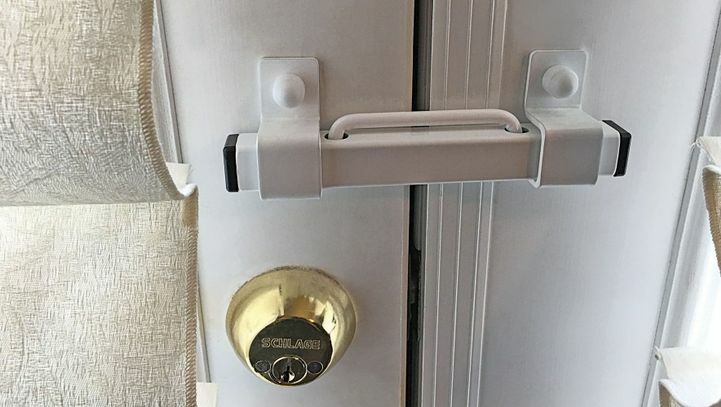 Furthermore, French door locks are generally considered to be weak and it is commonly known that the screw fixings used to secure the hinges and the strike plate to the door frame are less than adequate in length and provide little resistance. 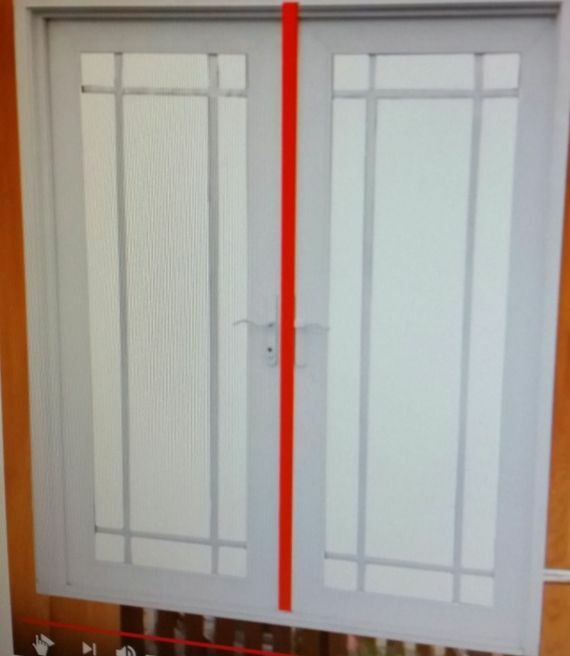 Criminals also know that the two glass panels contained in French doors do not have sufficient strength to defeat an aggressive attack. French doors are probably the most vulnerable of all doors. This is known to criminals and explains why they target French doors in occupied and unoccupied homes. 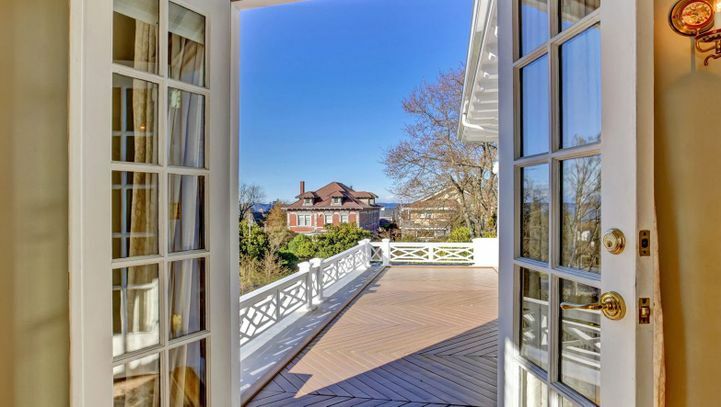 Of additional concern to US residents is the fact that while most French doors in Ireland, the UK and Canada open-outwards, over ninety-per-cent of all French doors in the United States open-inwards - making them easier to penetrate and more vulnerable to being kicked-in. Many medical professionals are very aware that these often random and unexpected attacks have the highest potential for the greatest danger for residents - and can lead to serious illness (The Body Remembers, Babette Rothschild, Oct 2000, W.W. Norton & Co). Finally, and to summarize, intruder alarms and camera surveillance systems may act as deterrents but they do not stop criminals from penetrating the home. The best advice we can give is to harden the security of the vulnerable areas of the home, starting with the French door – the most vulnerable door in the home.